Nobody, including myself, believes that I used to be afraid of frogs as a child. I was born in Brazil, the richest country in terms of amphibian diversity, but I actually grew up in the city and so the contact I had with frogs was very limited (camps, etc.). It wasn’t until I became a biologist several years later that I started working with reptiles and amphibians as an intern in 2003 in the São Paulo Zoo Herpetology Department. This was my first professional interaction with these incredible animals. Despite there being only a few frogs in their collection at the time, I really fell in love with them – for example, species like the Common Milk Frog (Trachycephalus venulosus). Some years later, in 2006, I was hired as an employee and started to work with some dendrobatids, with which I had the opportunity to practice amphibian captive breeding. From here, our collection began to increase. 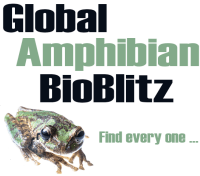 The Amphibian Ark campaign “Year of the Frog” in 2008 introduced the amphibian crisis to Cybele Lisboa and how zoos were important to saving them. Since then, she has been completely committed to this cause. In 2008, Kevin Zippel came to Brazil to bring the Amphibian Ark campaign “The Year of the Frog”. It was then that I was first introduced to the amphibian crisis and how zoos were important to saving them. Since then, I have been completely committed to this cause. 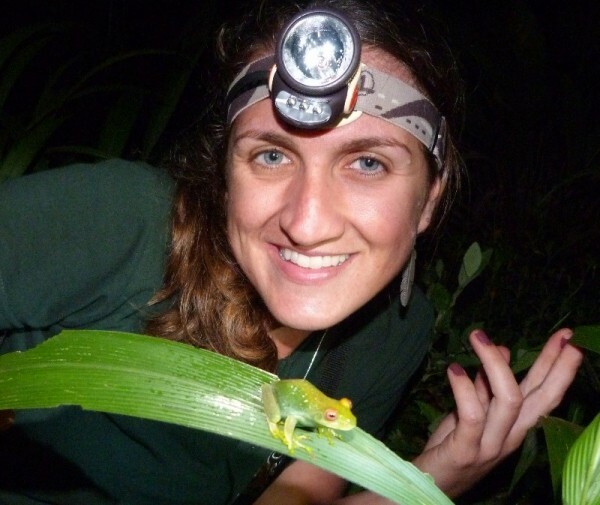 During the same year, I was invited to participate in a project that was just starting: ex situ conservation of Scinax alcatraz, a Critically Endangered tree-frog from Brazil. The care of amphibians in captivity was still a new area in Brazil and much of the husbandry techniques were unknown by professionals. Because of this, we began working with the surrogate species Scinax perpusillus, which is common in the wild, to develop captive breeding and maintenance techniques to apply for the endangered species. The technique developed was effective, and in 2011 the founders of S. alcatraz were collected and transferred to an isolated laboratory of the São Paulo Zoo. Only a few months later, the animals started to breed. Currently, there is a captive breeding population of the species, which becomes a bank of unique genetic resources. Since the beginning of the program until now, AArk has supported us through all of the challenges and lessons we have had to deal with. 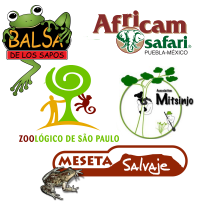 Concurrent to this program, in 2009 we also started to develop a new education project at the Zoo, “O Pulo do Sapo” (“Leap of the Frog”). This is the first exhibit dedicated solely to the amphibians of Brazil. The opening took place in 2010 and the exhibit continues to be a success. With my involvement in these programs, I felt the need to continually improve relevant professional skills and have continually sought opportunities to do so. Two courses were extremely important for my professional training. One of them was the Amphibian Biodiversity Conservation Course at Durrel Wildlife Conservation Trust, which opened my mind further to amphibian conservation. The other was the Association of Zoos and Aquariums (AZA) Amphibian Biology, Conservation and Management Course, which was very important to improve my husbandry techniques. I am very thankful to institutions such as the Latin-American Association of Zoos and Aquariums (ALPZA), the Zoo Conservation Outreach Group, and Cameron Park Zoo (Amphibian Conservation Award) that have supported me to complete these courses. I believe that the work we have done at the São Paulo Zoo is stimulating other zoos in Brazil to develop ex situ projects with amphibians. By participating in ex situ initiatives, I also began to get involved with the national amphibian conservation plan for Brazil. Before these, the ex situ strategy was not considered by the local conservationists and now it has been included in action plans. There are still many knowledge gaps relevant to Brazilian frogs, hindering the establishment of appropriate conservation programs. Therefore, population, taxonomic, and biogeographical studies are still a priority to understand the threats to the species and what conservation actions should be recommended. Ex situ conservation is still poorly explored in Brazil, and although reintroduction is not an immediate action, the formation of populations of endangered species in captivity for possible recovery programs is needed, as well as the development of protocols for emergency rescue. To this end, I think the engagement of other zoos is absolutely necessary. I believe that the work we have done is stimulating other zoos in Brazil to develop ex situ projects with amphibians, because we have shown it is possible. With this in mind, I intend to continue developing techniques for husbandry and reproduction of Brazilian amphibian species and also helping other zoos to develop new programs or to even train their technicians. Check our range of shirts, hoodies, caps and mugs!